Protects teak, rejuvenating the rich, natural golden wood colors. Prevents drying out of wood from exposure to the elements. Great for bulk heads, hatch covers, swim steps, guard rails and decking. from North Dakota Great Stuff! 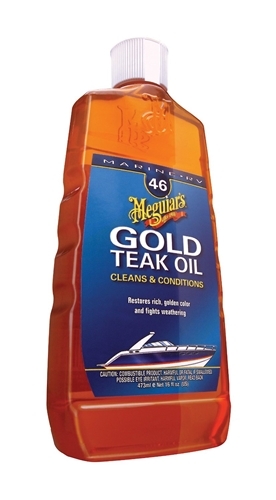 I've been using this Gold Teak Oil for years. My swim platform needs every year.Platform looks great. Buy it by the case it's cheaper. I recommend this product to anyone who likes to keep their looking good.